Create the season’s soft and feminine lips with this full-coverage, long-lasting, creamy formula. Glides on easily and applies smoothly. Lightweight, transfer-resistant color that doesn’t feather or bleed. 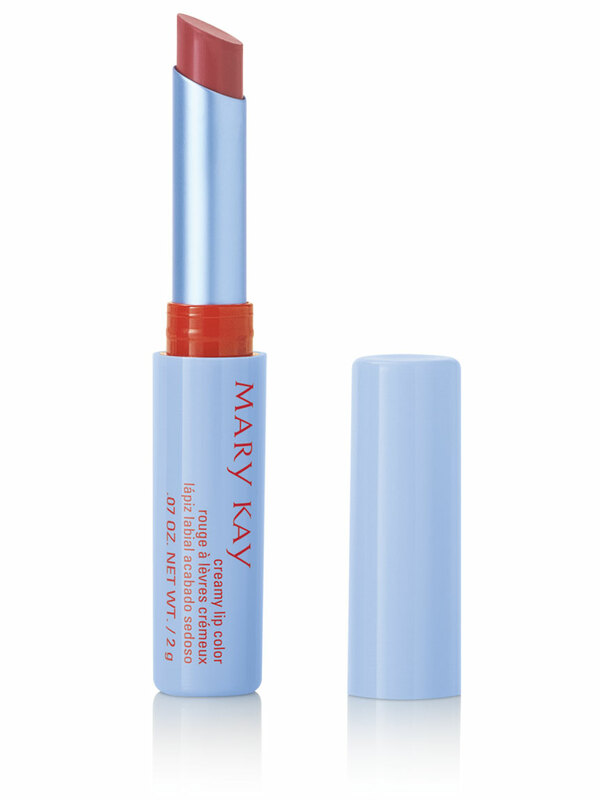 Feels moisturizing and keeps lips feeling soft and smooth. Provides an even, semimatte finish. Lightweight with a semimatte finish, creamy lip color conditions and feels moisturizing to keep lips feeling smooth and comfortable. You’ll get color that stays true without feathering or bleeding. Creamy lip color is part of the limited-edition† Hello, Sunshine! Collection – spring’s must-have makeup featuring sun-washed hues with a beachy, vintage twist. For a sheer application (tinted look instead of opaque), blot lip color onto lips instead of traditional swiping back and forth. Add limited-edition† Mary Kay® Lip Gel in Cherry Twist on top for evening glamour.